Me, and all my stuff, are moving into two new bedrooms in the next 3 weeks, my new house in my hometown and my new university house, therefore it being quite a stressful situation! 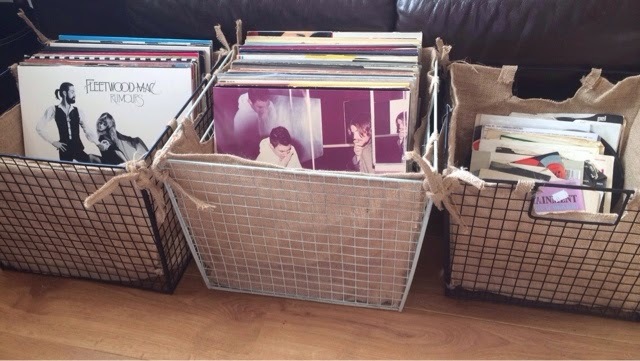 I want to make both rooms very 'me', homely and comfortable - but I will do a big post about this soon, for now though; vinyl storage and the nightmare that comes along with it! As a bit of a self-confessed vinyl enthusiast, my record collection is quickly getting bigger and bigger since I purchased my beautiful record player last December, making storage for my records harder and harder. 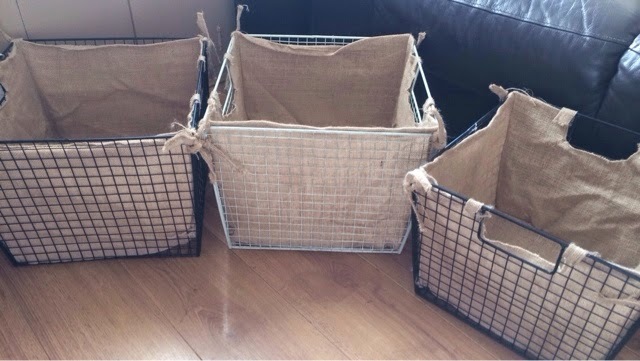 At first it was easy for me to buy cardboard storage boxes from tkmaxx, and although I loved them, they were so flimsy and they just don't last! With both of the new moves coming around soon, I panicked with what I was going to do with all my records and how I would store them at my new uni room. As a big Pinterest fan, I searched for loads of different ideas. I also ebay'd etc on a daily basis just wanting to find something perfect, but everything is so expensive or not big enough, so for a student who has to move around a lot, I don't want to have to fork out tons of cash on something that might not look right in where I may live after uni. I picked these up in tkmaxx (where else, that place is decor HEAVEN!) 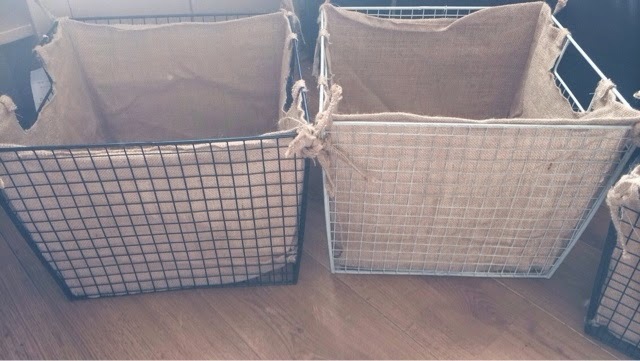 they are in their 'rustic chic' range, and all three of them came to a cracking £16! Two of them were £7 each and the smallest one cost £2! So vinyl wise, I can store my 12's in the bigger ones, and my 10's and 7's in the smaller one, so also super organised. Can't wait to dot these around my new room at university, I'm glad I didn't fork out a fortune for legitimate vinyl storage, who needs legit when there's make-shift! 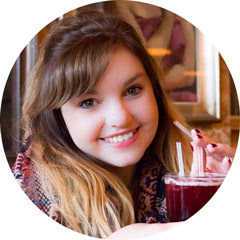 nearly 20 = early life crisis? !